Houzz 152 of our visitors have told a friend about this plan. Answer: The placement of the door is how the plan designer originally designed the plan, as to why it was designed this way, I couldn't say. I do not believe the original plan designer is even alive anymore so I can't even pose that question to him. The stairwell is 4'2" wide, there is no landing at the top it terminates into an open area with a hallway to the left, the dining room directly ahead, and the great room to the right. Question: The specs indicate that the plan is 31' deep but the garage id 28'. Does the 31' include the roof overhang? Answer: The Dining Room bay window is cantilevered towards the rear, adding 1'4" to the depth. The actual foundation footprint is 29' and the cantilevered section adds 1'4" to the depth. The dimension 30' 4" was rounded up to 31'. Question: is there a dishwasher??? Answer: One is currently not spec'd in as space is limited, however a dishwasher can be placed in the center work island or to the left of the kitchen sink. Question: Can HVAC be added to the plan? Answer: Yes it can, however it will need to be designed by your local HVAC sub-contractor who knows your climate and what system you'll be using. Answer: This stock plan conforms to the codes when and where the plan was developed. 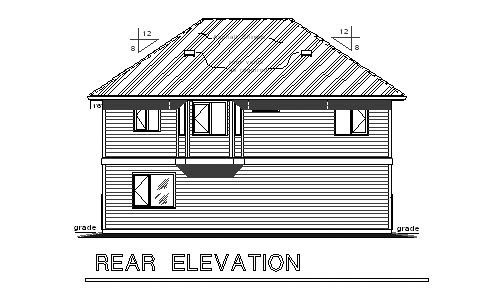 This plan was designed in British Columbia, Canada, and conforms to he 1997 National Building Code of Canada. However we do have 2009 IRC insert sheets we can supplement this set with. 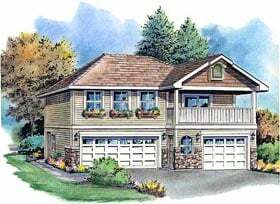 Question: Garage plan # 58569. Is it possible to put the garage doors on the opposide side and keep the upper deck on the same side. 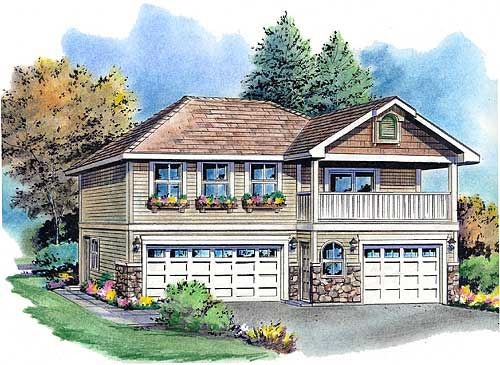 Answer: Yes, the garage doors can be relocated to the opposite side while keeping the upper deck where it is. 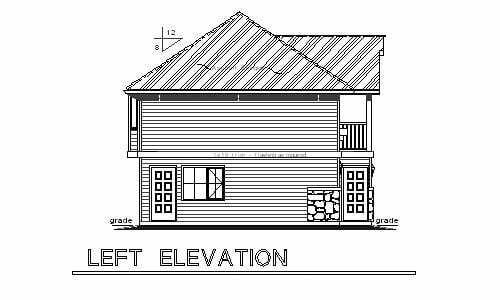 Question: What is the snow load on this plan? Answer: Snow load is 40 psf. Answer: The two car garage is 23' wide at its widest spot, optional wall, and the single car garage is 11'6" wide. The total width of the structure is 36' as this is to the outside dimensions. The two car garage is 24' deep and the single car garage is 28' deep. Question: I wanted to confirm that the plan meets the 2006IRC. Thank you P.J. Answer: This plan was designed up to the NBC, National Building Code, code set and will need to be updated for 2006 IRC standards. Question: Do the plans include all the electrical and plumbing plans as well? Answer: This plan will have an electrical drawing showing the locations for the switches and outlets, but no wiring details or panel diagram. We will also show you the locations for the plumbing fixtures, but will not include specifics as to how it will be designed. 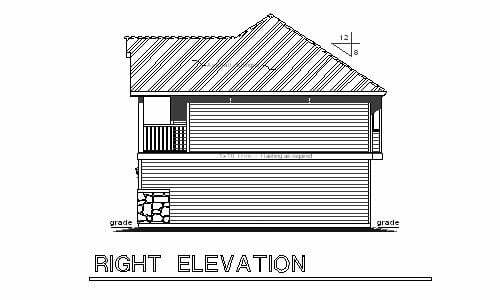 Your local sub-contractor will be able to design this with your local building codes, lot characteristics and material choices in mind.